Set in a devastated future world decimated by atmospheric poisons and swarming with gigantic insects, Nausicaä is the story of a young princess, both brave and innocent, whose love for all living things and passionate determination to understand the processes of nature lead her into terrible danger, sacrifice, and eventual triumph. Throughout the film, Miyazaki’s animation is awe-inspiring: from the transcendent beauty of the poisoned forest to the giant, Dune-esque worms and the thrilling flying sequences. 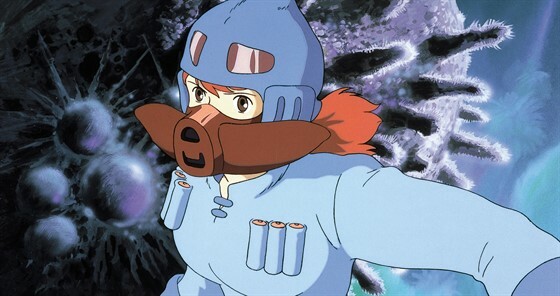 Though released before the founding of Studio Ghibli, Nausicaä of the Valley of the Wind feels as part of the canon as any of the official films. Co-founder Isao Takahata served as producer and marks the first collaboration between Miyazaki and renowned Japanese composer Jose Hisaishi.